Gordhan said in a response in 2016 to a question from the EFF that he had not met members of the Gupta family officially. 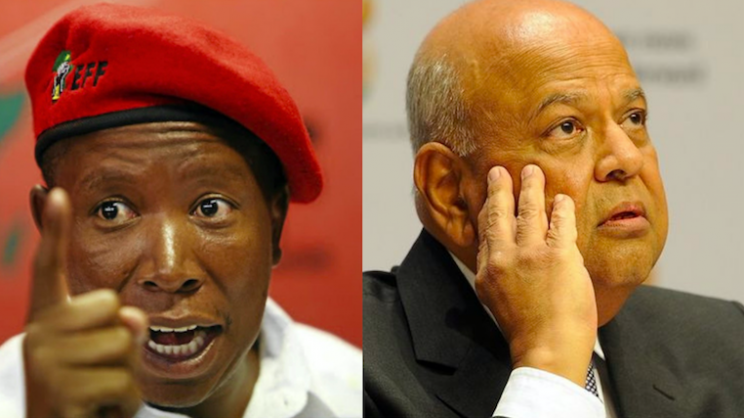 The Economic Freedom Fighters has written an official complaint to Public Protector Busisiwe Mkhwebane to investigate Minister of Public Enterprises Pravin Gordhan for allegedly lying in a 2016 parliamentary response. In his response, the minister said he had not attended any meeting with the Gupta family or anyone at Saxonwold. National Treasury further said it was not aware of a meeting between any senior official and the controversial Gupta family. The EFF has now accused the minister of deliberately excluding a meeting he allegedly held with Indian billionaire Mr Ambaani and Ajay Gupta to discuss possible investment in MTN. In his submission to the State Capture Commission, Gordhan said he did not remember if Ajay Gupta was part of the meeting he had with Mr Ambaani and said only his then chief of staff, Dondo Mogojane, remembered that Gupta was present in the meeting, as he was the one who arranged it. “This is pure opportunistic falsehood by a minister, who had planned to mislead the Commission of State Capture, and only retreated when he realised that he will be exposed. “Beyond undermining the Executive Ethics Code, by lying to parliament, Gordhan has violated his oath of office and thus the constitution. “Not discussing meetings and engagements when a minister is asked about them is a serious violation of the Executive Ethics Code,” the party said.